All fighting arts have the potential to compliment each other thus our club is highly influenced by Uechi Ryu Karate and Brazilian Jiu-Jitsu which helps us think with an open mind and train outside of the box. Our club focuses on the enjoyment of making martial arts a way of life. Our workouts have a variety of focus including self-defence, competition and MMA styles of work out drills. Although our goal is to maintain a small, tight knit, highly focused club, our dojo values a culture of enjoyment, friendship and loyalty, always happy to welcome new visitors. Uechi Ryu Karate: Certified under the IUKF (International Uechi Ryu Karate Federation), we practice Uechi Ryu based karate, this work out uses a traditional approach to karate, utilizing kata, bunkai and kumite to provide the student an excellent venue to reduce everyday stress, improve healthy living and enjoy the confidence to protect your loved ones. We offer classes for adults and kids starting at 6 years of age. Classes will be focused on safe training which demands respect and listening. A typical class will include age appropriate training, introducing traditional karate training, self defense awareness, and sport style contact. The student will build confidence, structure, and will have fun working on their rankings. Brazilian Jiu-jitsu: As affiliates of the Halifax Brazilian Jiu-Jitsu Society (a part of Marcelo Garcia Association), we are proud to be the first to bring this style of martial arts to East Hants! BJJ is a ground fighting system which is particularly popular in recent days. BJJ provides excellent training to your core muscles and provides essential skills to any true martial artist. We offer classes for adults and kids starting at 6 years of age. Classes will be focused on safe training which demands respect and listening. A typical class will include age appropriate training, introducing traditional BJJ training, self defense awareness, and sport style contact. The student will build confidence, structure, and will have fun working on their rankings. fightFIT/Kickboxing: An adult based program which provides a great opportunity to work out in our gym without the traditional approach to martial arts! The program includes a cardio kickboxing approach utilizing heavy bags, speed bags, circuit training etc. The class is run by a martial arts instructor who will help newcomers use equipment in a safe and enjoyable manner. Contrary to believe, we don’t beat each other up in this class! 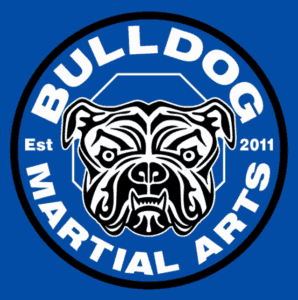 Classes are safe, enjoyable, self paced and focus on the skills of karate, kickboxing, wrestling, grappling and bjj. An excellent work out for male and females aged 13 years and up! Bodyflow: Exclusive to females, Zen-Tempo exercises combine very slow and controlled bodyflow movements with deep breathing techniques. Bodyflow improves muscle quality and flexibility. Deep breathing techniques raise levels of blood oxygen, allowing the blood to flow properly throughout the body. This combination unites the mind and body into an enlightened awareness of oneself. Either bodyweight or very light-weight dumbbells are used in Zen-Tempo exercises. Bodyflow is a self paced program designed for all fitness levels.